The National Bank of Indianapolis Summer Nights Film Series returns to the IMA Amphitheater, now with added screenings on Saturday evenings. 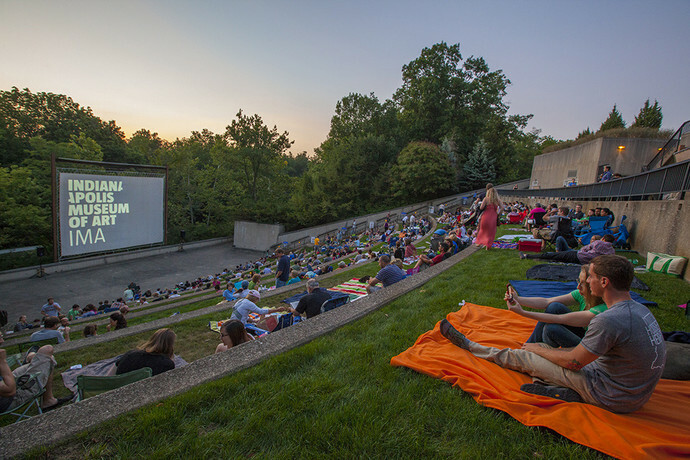 This summer, enjoy a one-of-a-kind outdoor film experience at the IMA. Weekends will once again feature pop culture classics from across the decades. Each screening will be introduced with unique preshow activities and programming. The series runs Friday and most Saturday evenings from June 2 through Aug. 25. Doors open at 7 p.m. and films begin at dusk. During the films, refreshments from Sun King Brewery will be available, along with food from King David Dogs. Tickets go on sale for members beginning April 14 and for the general public on May 1. Season passes for Friday nights are available through June 2 at www.imamuseum.org. When Ren McCormack (Kevin Bacon) moves to a small Midwestern town where rock music and dancing are banned, his rebellious spirit and smooth moves rock the town. In this musical comedy, two drag performers and a transgender woman travel across the Australian desert to perform their unique style of music. In this Walt Disney classic, man-cub Mowgli is raised by a family of wolves in the Indian jungle. When the wolves hear that Shere Kahn, a ferocious tiger, is tracking Mowgli, they realize they must convince Mowgli to return to the local village. In this Alfred Hitchcock classic, Tony Wendice (Ray Milland) learns his wife, Margot (Grace Kelly), had an affair, he plans to have her murdered so he can inherit her fortune. The plan goes wrong and Margot struggles to prove her innocence while Tony improvises a new way to get her fortune. When a corrupt businessman and the grotesque Penguin plot to take control of Gotham City, only Batman (Michael Keaton) can stop them, while Catwoman (Michelle Pfeiffer) has her own agenda, in this Tim Burton favorite. Sent to infiltrate Domenic Toretto’s (Vin Diesel) street racing crew, officer Brian O’Connor (Paul Walker) becomes enamored with the street racing lifestyle and Toretto’s sister, Mia (Jordana Brewster). Discovered during a disastrous photo session, salesgirl Jo Stockton (Audrey Hepburn) is offered a modeling contract by a leading fashion magazine. Accepting only because the job includes a trip to Paris, Jo’s attitude towards the job, and the photographer (Fred Astaire), softens. In this Disney musical, Charlie, Paul and Carrie are sent to live in the country villages of England during WWII. After discovering their caretaker, Eglatine, is an apprentice witch, they promise to keep her secret only if they are allowed to join in the fun. When cheerleader Buffy Summers (Kristi Swanson) is approached by a stranger (Donald Sutherland) claiming her destiny is to protect the world from vampires, she assumes he is crazy. But when students at the school turn up with mysterious bite marks, Buffy learns to balance fighting vampires with shopping for the perfect prom dress, in this Joss Whedon favorite. After being laid off from his job, Craig (Ice Cube) and his best friend Smokey (Chris Tucker) spend the day hanging out on the front porch and watching their South Central neighborhood. When Smokey is confronted by his supplier, Big Worm, the friends must come up with $200 by the end of the night. In the summer of 1959, four 12-year-old friends, Gordie (Will Wheaton), Chris (River Phoenix), Teddy (Corey Feldman) and Vern (Jerry O’Connell), set off to find a dead body rumored to be in the woods, creating memories and friendships that last them a lifetime, in the Rob Reiner film. When Violet, Doralee and Judy (Lilly Tomlin, Dolly Parton, and Jane Fonda) think they have accidentally poisoned their terrible boss, they kidnap him to keep quiet and discover he has been embezzling money from the company. On the day of his wedding, Mortimer Brewster (Cary Grant) discovers that his beloved aunts have been killing the lonely lodgers staying at their home and burying them in the cellar. When his shady brother John returns home that night, Mortimer discovers how crazy his family really is. This film will be screened in a special location on the Lilly House lawn. In this Joss Whedon original, the renegade crew of Serenity, led by Malcom Reynolds (Nathan Fillion), agrees to harbor the fugitive, River Tamon (Summer Glau), aboard their ship, they find themselves chased by one of The Alliance’s top operatives, who will destroy anything, or anyone, to get River back. Sent to prison for destroying public property, Luke Jackson (Paul Newman) ends up on a rural Florida chain gang performing hard labor. Refusing to be broken by the system, Luke quickly becomes the prisoners’ hero for living life on his own terms. In this Mel Brooks original, Rock Ridge’s new sheriff, Bart (Cleavon Little), enlists the help of the Waco Kid (Gene Wilder) to contend with a lawless town, greedy railroad construction boss and the advances of Lili von Shtrupp (Madeline Kahn) in the ultimate western spoof. Tickets are $8 for IMA members and $12 for the public, unless otherwise noted, and are available for purchase in advance online, at the Guest Services Desk, or by phone at 317-923-1331. Friday night season passes are available for $72 for members and $106 for the public. Tickets are also available at the door, but are not guaranteed, as most films may sell out. All tickets are non-refundable. Member tickets go on sale April 14 and tickets for the general public will be available beginning May 1. 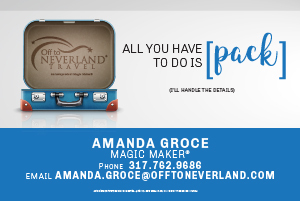 Show your debit or credit card issued by The National Bank of Indianapolis for $1 off your ticket purchase. This discount is valid for on-site purchases only, though cardholders may call the ticket line at 317.955.2339 in advance to reserve their tickets.